Framingham, April 27th, 2019, 11:00 a.m. – 2 p.m. Celebrate Autism Awareness and Acceptance month with Advocates and the Autism Alliance of Metrowest with a private event for individuals with autism, their families, and others who may benefit from a sensory-friendly experience. 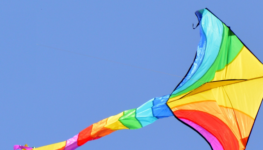 * Kite Day at Bose Mountain offers trackless train rides, rebounders, police and fire vehicles, interactive music therapists, kite flying, and more. * Please bring your own kite. * The cost of this event is $5 per carload.